Tree Day is an opportunity for you to do something positive for your community and the environment by reconnecting with nature. National Tree Day started in 1996 and since then more than 3.8 million people have planted 24 million trees and plants and it’s still growing. 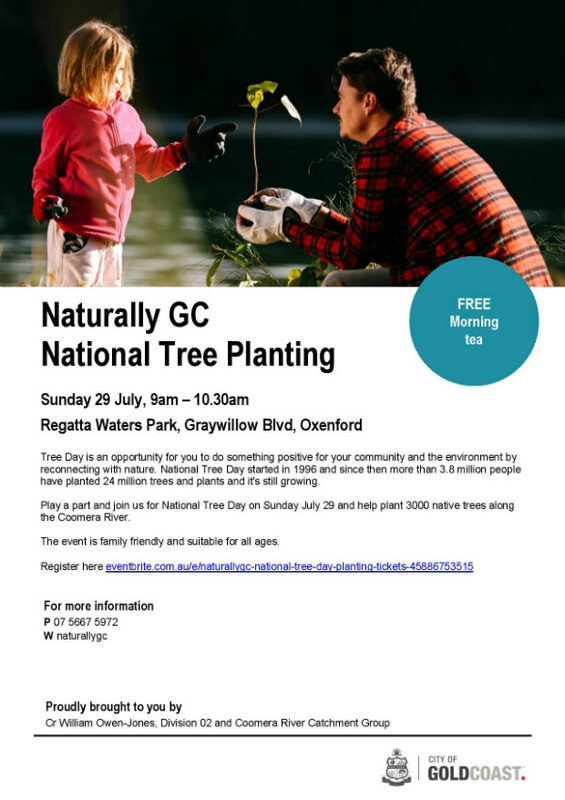 Play a part and join us for National Tree Day on Sunday July 29 and help plant 3000 native trees along the Coomera River. The event is family friendly and suitable for all ages.